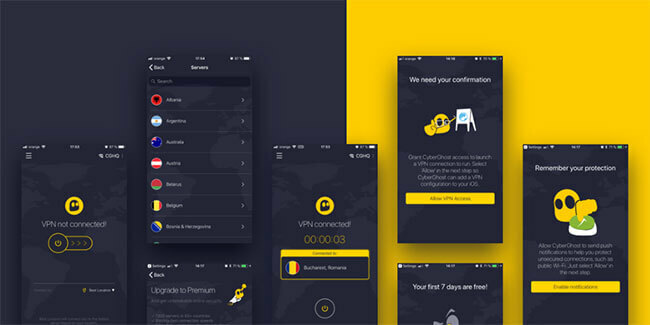 In an effort to update all of its apps to the same version and optimize them for added stability and better speeds, CyberGhost released its new VPN version for iOS. Listening to what its users think about the service, the company implemented additional changes regarding faster connections and full compatibility with iPhone X. Let us go through the changes together and see what the latest version of CyberGhost VPN for iOS has to offer. CyberGhost now sports a fresher and much simpler design that will further boost user experience. The client is as self-explanatory as possible, with one screen replacing the previous four. The screen is accessible with a simple tap, so even complete beginners will feel comfortable with CyberGhost VPN. To make your VPN connection even faster and more stable, the client will automatically connect you to the most suitable VPN server based on your location. You will also be able to switch between servers manually and enjoy the seamless transition as often as you please. 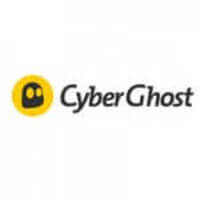 CyberGhost made some crucial changes to its user interface and the overall usability of the client but kept some essential features that worked well in the past. The privacy settings will stay the same, but CyberGhost 7 for iOS will automatically encrypt your connection the moment you access a private or public Wi-Fi. The app comes with a 7-day free trial. If you choose to purchase a subscription after the trial period, the first week is free as well. You can maintain up to 7 simultaneous connections between different iOS devices, including your iPhone, iPad, iWatch, and iPod touch. The new version is 100% optimized for iPhone X. The work on the new CG version 7 for iOS is all but over. The company plans on optimizing it even further and giving its users the option to customize their protection even more. The app will be tuned up and refined and new features will be added constantly. As always, we will monitor the situation with the new CyberGhost version 7 for iOS and make sure you learn everything there is about all the important updates the moment they are out.